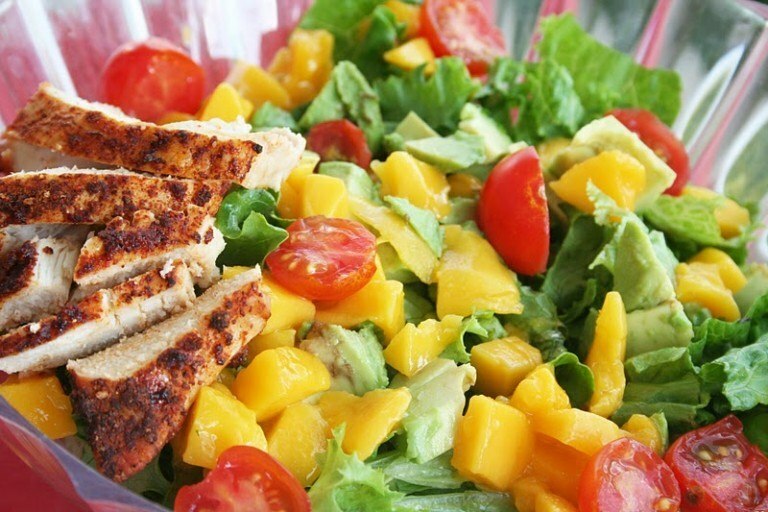 Combine lettuce, mango, cucumber, cherry tomatoes, onion and chicken in a serving bowl. Whisk together olive oil, lime juice, orange juice, sugar, salt and pepper, and drizzle over salad. Toss to combine. Sprinkle with cilantro and serve.